Originally published under the title "Holy Week Massacres." 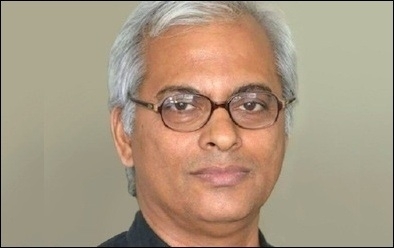 Father Tom Uzhunnalil was captured by ISIS militants in Yemen on March 4. On Good Friday, a righteous man was reportedly crucified. I'm not speaking of Jesus Christ, who was crucified nearly 2000 years ago. I'm speaking of one of Christ's modern-day disciples, Father Tom Uzhunnalil, who was reportedly crucified in Yemen by ISIS (alternatively, the Islamic State) on the same day Christians commemorate Christ's crucifixion. Yet this was not the only tragedy to befall Christians this past Holy Week. Most well publicized of the Holy Week tragedies was the murder of 31 people in Brussels by elements of the Islamic State. While there was no clear targeting of Christians per se, European intelligence agencies are increasingly confident that this was originally planned as a series of attacks on Christian targets all over Europe on and around Easter, but was hurried and limited due to the arrest of one of the plotters, which endangered the entire operation. In Pakistan, home to about 2.5 million Christians, at least 72 Christians were killed by a suicide bomber on Easter Sunday. This was apparently in retaliation for the state execution of an assassin who murdered a regional governor who had called for reform of blasphemy laws, which are routinely used to oppress Christians. While the West may not be at war with all of Islam, radical Islamists are at war with all of Christianity. It has become a cliché to say that the West ignores or downplays terrorist attacks in non-Western countries, such as the latter episode or the murder of 147 non-Muslims (most likely Christians) by radical Islamists in Kenya in 2015, because of racism. There may be some truth to this charge. Yet the ability of the West to ignore or downplay the murders of innocents in African or Middle Eastern countries has certainly been no greater than its ability to ignore the systematic and intentional murder of Christians by violent Islamists everywhere. It has also become a platitude to say that the West is not at war with Islam. This is, appropriately, true. But it obfuscates the fact that while the (implicitly Christian) West may not be at war with all of Islam, radical Islamists are at war with all Christians. From nominally Christian Belgians to observant Pakistanis to dedicated priests, radical Islamists see all of them as their enemy. Further, they desire not only to murder Christians, but to intimidate and cower the rest. Westerners may not see this as a religious war, but radical Islamists certainly do. The West is reluctant to recognize that the Islamic State is committing genocide against Christians. This willful ignorance manifests itself in numerous damaging ways, but none more clearly than in Western reluctance to recognize that the Islamic State is committing genocide against Christians in the Middle East. When the slaughter reached its peak in mid-2014, instead of recognizing it as genocide and acting accordingly, the Obama Administration actually called for the repeal of the Authorization of the Use of Military Force in Iraq. This at the same time Iraqi Christian leaders were begging for a military intervention to save their lives. After significant pressure from Congress, the Obama Administration has finally recognized the Islamic State's genocidal intent toward Christians in the Middle East. This is a welcome if belated development. However, the fact that the most dramatic and clear attack on Christians during Holy Week took place in Pakistan, with no apparent connection to the Islamic State, demonstrates that the problem is more widespread. The Islamic State may be the most radical of Islamist groups, but the impulse to cleanse Christians is hardly limited to the most crazed. Another accurate banality is to say that radical Islamists kill more Muslims than they do Christians. This is true, but it overlooks proportion, and the fact that Muslims most willing to live in peace with Christians, Jews, and others are top targets themselves. A good-hearted Muslim shopkeeper in Scotland paid with his own life merely for wishing his Christian neighbors a "Good Friday and very happy Easter." I am uncertain as to the policy implications of radical Islamists' clear and obvious desire to murder Christians. But a good place to start would be to recognize what is happening. Most of our opinion leaders and decision makers are only now becoming aware of this uncomfortable truth and still do not appreciate the scope of the problem. As they catch up to reality, many Christians are realizing that Christ's commandment to "take up your cross and follow me" was not necessarily metaphorical.